You can create and customize your own intranet system with eeedo. eeedo is integrated into a CMS, which allows personalized feed, multi-OS mobile applications, and push notifications from important new or updated content. and we will show you what can be built on top of our platform. eeedo allows your custom intranet to use our Apple iOS, Android and Windows Phone apps for secure access to your information and files. Important new content will trigger real-time push notifications. The multi-OS mobile apps allow users to receive push notifications when new conversations of a relevant topic begin; someone updates important files and documents, as well as status updates of ongoing tasks. Every user has their own personalized intranet feed where they will only see content which is relevant to them. The most crucial information can be delivered through bi-directional SMSs. This ensures that the most critical messages are delivered to the right people. Make no compromises, make the intranet just the way you want it to be. Easy customization tools allow you to create custom views, or you can buy it as a turnkey solution. You can create personal views to different topics and tasks for a specific user group. eeedo intranet allows an easy way to create different forms, workflows, internal blogs, social intranet feed, and file & task management. You can automatize different task queues with eeedo’s task management. For example, marketing tasks, IT ticketing, and office supply orders can be automated with eeedo’s task management. The task management automatically creates tasks for the right users. 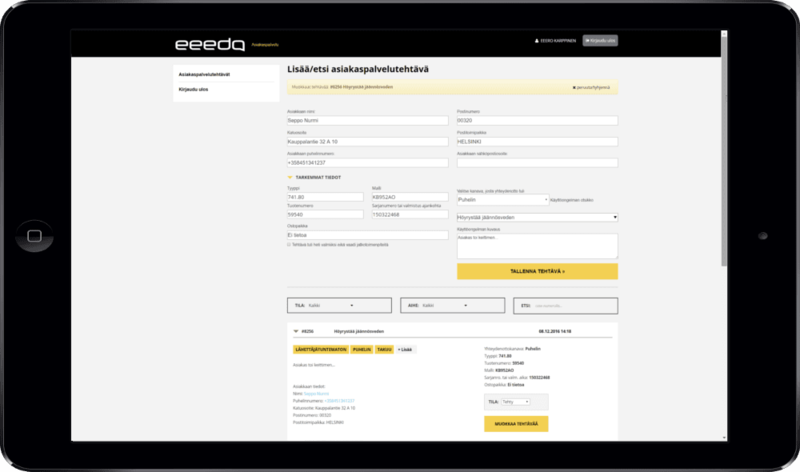 If your organization is already using some content management system (CMS), it is possible to integrate eeedo to it. 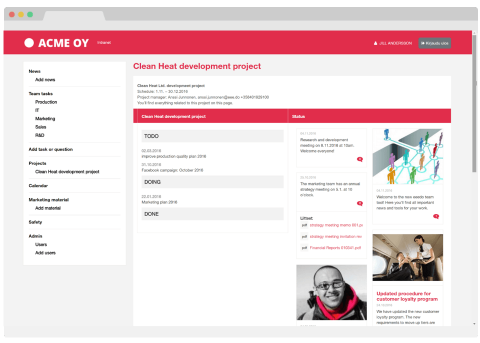 Your own CMS can be tuned to match the standards of a modern social intranet, where every user has their own personalized intranet feed with only relevant tasks and information in it, multi-OS mobile applications with mobile push notifications. eeedo can be integrated with SharePoint, WordPress, Joomla, and EPiServer products. Moreover, eeedo can fetch information other systems like feedback, BI, and CRM systems. Our fast and lean integration techniques allow integrations, custom views, and other customizations to be deployed in days rather than weeks or months.